What’s great about summer is that any excuse to get together is a good excuse. 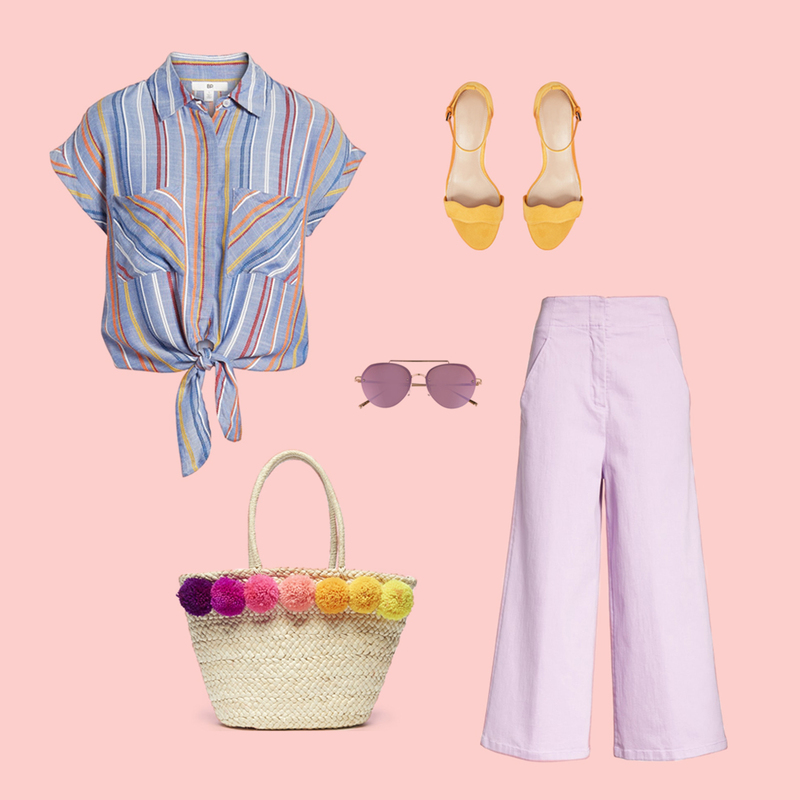 We don’t know whether it’s the fresh air, the fruity frozen drinks, or the perfect weather that gives us the freedom to experiment with our wardrobes (probably a combination of all three), but summertime is the perfect season to get out and play. Inspired by our new collaboration with Winc, the wine subscription service behind the insanely popular Summer Water Rosé, we’ve put together three pretty, polished looks as bright as this beautiful wine. 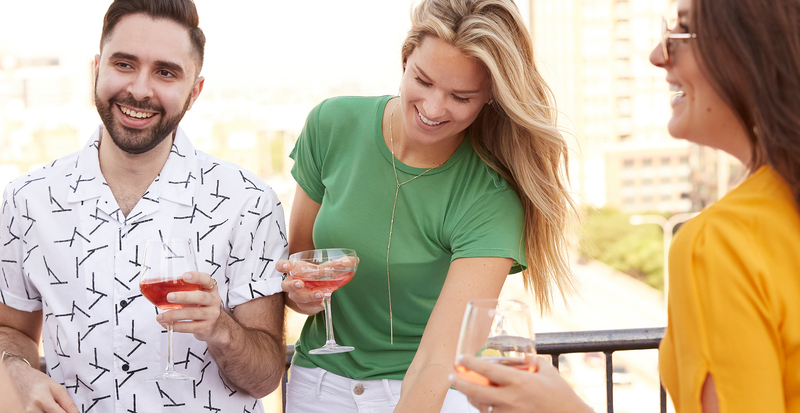 Fluttery sleeves catch the eye, as well as the wind, when you’re up on a rooftop for a couple of drinks. A romantic floral-print romper is seasonal, spirited, and definitely your moment to show off some sun-kissed skin. Paired with a wedge espadrille in a complementary color and a statement mini bag, this ensemble is ideal for an evening with friends. The outdoor patio is calling your name. With a sun hat and camisole, you’re free to eat, drink, and laugh as much as your heart desires without overheating. And when the party moves to another location, flat sandals with an ankle strap and a leather backpack make it easy to get there in style. A vintage-inspired tie-front top paired with lightweight, wide-leg pants cinch your waist at its smallest point while also making your legs look a mile long. A heeled sandal ties the look together, but consider a block heel if your picnic is planned for the grass; we don’t want any sunken stiletto situations.